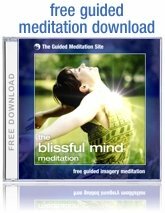 In these meditation instructions you will come to understand the actual process of meditating in much more detail. The when, where and how to meditate. There are no hard and fast rules when it comes to the time of day that you should meditate. It’s best if you can find the time to meditate each morning and night, but it’s not critical that you adhere to this schedule. If you can manage only one meditation per day, you will still make excellent progress. You will benefit from meditation at any time of the day. Some people take a break from work during the day to spend some time in meditation, some even do it in the subway on the way home! While this is not ideal, the point is that some meditation is better than none, no matter how you find the time for it. The most important thing is that you do find the time to meditate, and that you meditate with regularity. Find a quiet place where you wont be disturbed for at least 20 minutes and make sure that you are warm enough and comfortable seated. If possible, eliminate sources of noise and distraction...you most certainly should turn of the TV and your phone! Perhaps you may also wish to let any family members know that you wish to remain undisturbed for a short while. There are a number of traditional positions and meditation poses that people use while meditating, for example, sitting cross legged on the floor in the full lotus position is quite popular with experienced meditators. But it's important that you only sit this way if it is comfortable for you to do so. Please sit in a chair if this will be more comfortable for you. Sit up straight, but make sure you are at ease. Remember, do not strain yourself...this is supposed to be enjoyable! 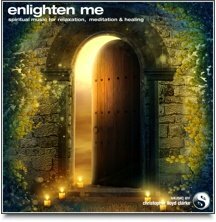 As I mentioned earlier, I have designed these meditation instructions to be simple and powerful, and I've made a point of avoiding some of the unnecessary meditation techniques that traditional meditation gurus might impose. You do not need to stand on your head or live in a cave in the Himalayas in order to experience deep blissful meditation! I confess that I do have one rule though...please do not lie down while you are meditating. It’s far too easy to fall asleep if you try to meditate lying down, so it is important that you sit up with your back straight. You’ll be able to focus your attention more easily this way. Take a few deep breaths while you settle and prepare to sit still for the next 20 minutes. If you are new to meditation, 20 minutes can seem like a long time, but make it your intention to stick with it, and promise yourself that you will continue to sit silently until the 20 minutes has passed. 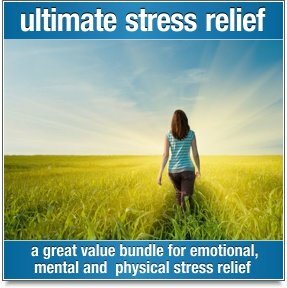 Know that by the end you will be feeling far more relaxed and rested than when you began. Usually in the practice of meditation you focus your attention on a "mantra" – a phrase that you repeat to yourself mentally. This gives you something to pay attention to during your meditation. It’s like an anchor that will help to prevent your attention from drifting away with the other thoughts that may pass through your mind. For example, you might choose to mentally repeat the word "relax" or a phrase such as "I am at peace", or you may wish to repeat a mantra that has no specific verbal meaning, such as the sound "om". Just think of a word or phrase that you find easy to repeat mentally and that feels soothing and natural to you. Repeat the mantra slowly and quietly in your mind and if you find that you have become distracted by other thoughts, just notice them and return to the mantra. Do not strain to concentrate on the mantra, just repeat it quietly and calmly to yourself. Repeating a mantra is like balancing a ball in the palm of your hand...don’t grip it, just let it gently rest there. If a thought pops in and you drop the ball, simply pick up where you left off. If you wish, you can choose to focus your attention on your breathing instead of a mantra. Many people find it easier and more natural to focus their attention on the in and out movement of their breath. Try it out yourself and see how it feels for you. Close your eyes and pay attention to your breathing. Don’t try to control your breathing, just observe it as it flows in and out of your body. You might choose to focus your attention on the feeling of the air as it moves in and out of your nose, or you might like to try focusing on the feeling of your chest inflating and deflating as you inhale and exhale. For the next 20 minutes or so just sit quietly with your eyes closed. Relax. Don’t attempt to force your mind to stop thinking, just allow your mind to gradually and naturally slow down while you repeat your mantra and continue to breathe. Notice your thoughts if they come up, and then let go of them. It’s inevitable that your mind will entertain thoughts during your meditation. This is completely normal. Each time you notice that you are caught up in thinking, just let go of the thoughts and return your attention to your mantra or your breathing. If you notice your body feeling tight or contracted in any way, just mentally relax that area of your body and return once again to your mantra. Mindfulness bells have been used as a meditation aid for thousands of years, and for good reason. The sound of a mindfulness bell, like a Tibetan singing bowl for example, is an excellent sound for focussing your attention on during meditation. Mindfulness bells tend to make the practice of meditation a little easier to master, especially for beginners. Rather than concentrating your attention on your breath or on a mantra, you can simply use the sound of a mindfulness bell as the focal point for your meditation. There's something really nice about being able to meditate in this way. You can just let the bells do the work for you. 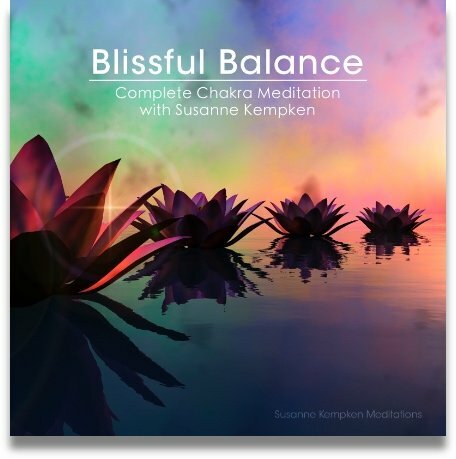 Their comforting, meditative sound helps to anchor your awareness in the present moment, where you can find stillness and freedom from mental noise. When a mindfulness bell is first struck, you are presented with a sound that is clear and loud enough for you to focus your attention on. But as the sound slowly fades away, your focus on sound is gradually replaced by focus on silence.